I felt like I was missing Russia today. It has been so many years. (Eight to be exact.) 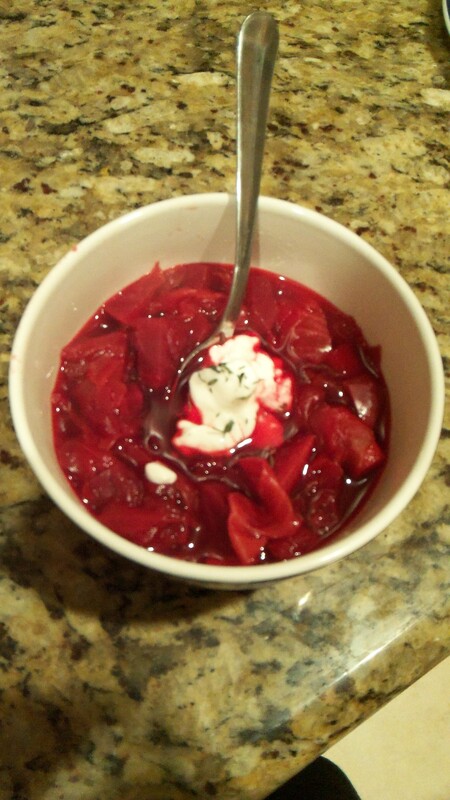 Today was so rainy and fall like I felt like it was the perfect day for borscht. GRRRR. Oh dear, I said it. I decided to pay mine off today. (Just one, don’t put your party hat on yet.) I just hate having debt hanging over me. Now there is just a little bit less. Success. How can I motivate you to be a little more fiscally responsible today? I didn’t know what this game was but it sure is funny. You put a Oreo on your for head and then have to move it to your moth with out using your hands. I am glad Chelsea and Lindsay were willing to show me how to play.